Most talk of match-fixing in tennis comes cloaked in too many layers of anonymity to feel genuinely juicy. When the Tennis Integrity Unit, the independent body charged with sniffing out corruption in the sport, releases its quarterly report, there’s a section detailing matches that raised suspicions, but these matches are simply labeled by tournament in which they occurred, with no particular names implicated. For example, we know that three matches at Wimbledon this year came under scrutiny, but not who played in them. So what we saw yesterday is strange: The TIU quickly—within hours of the match’s conclusion—and publicly confirmed that a match between world No. 63 Alexandr Dolgopolov and world No. 114 Thiago Monteiro was being investigated. 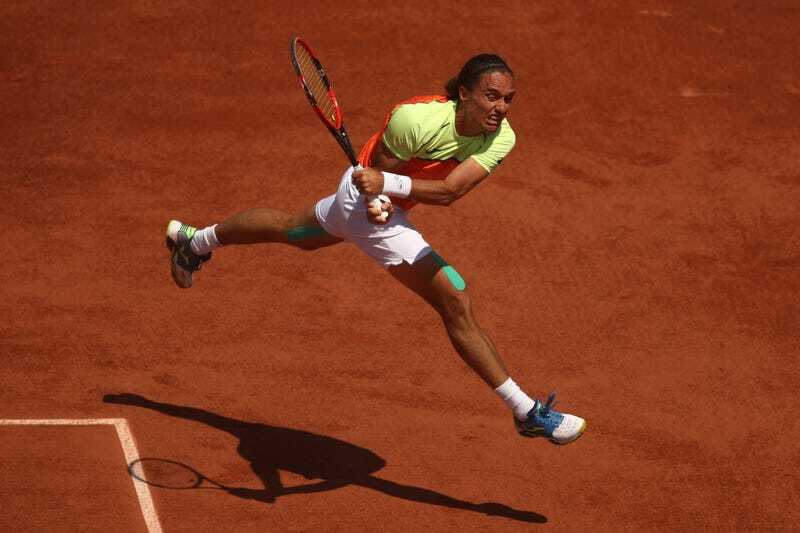 Dolgopolov, a former world No. 13 previously celebrated here for his idiosyncratic style of play, was a roughly 3-to-1 favorite on some exchanges heading into this match at the Winston-Salem Open. Within mere hours of the match’s start time, enough money was bet on underdog Monteiro that those odds nearly reversed. (Here’s one good attempt to track how those odds shifted over time.) Several exchanges, recognizing these suspicious patterns, suspended all betting on the match, which the higher-ranked Dolgopolov lost 6-3, 6-3 in 55 minutes. The TIU was made aware of concerns over betting patterns during the match … As with all match alerts, the TIU will assess, make a judgement and take appropriate action on the information received through its co-operative agreements with betting operators. There’s no knowing if the inquiry will turn up anything incriminating, but for once, we know exactly what they’re looking into.